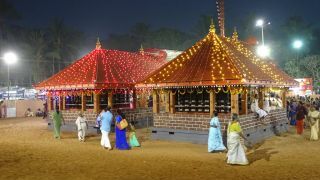 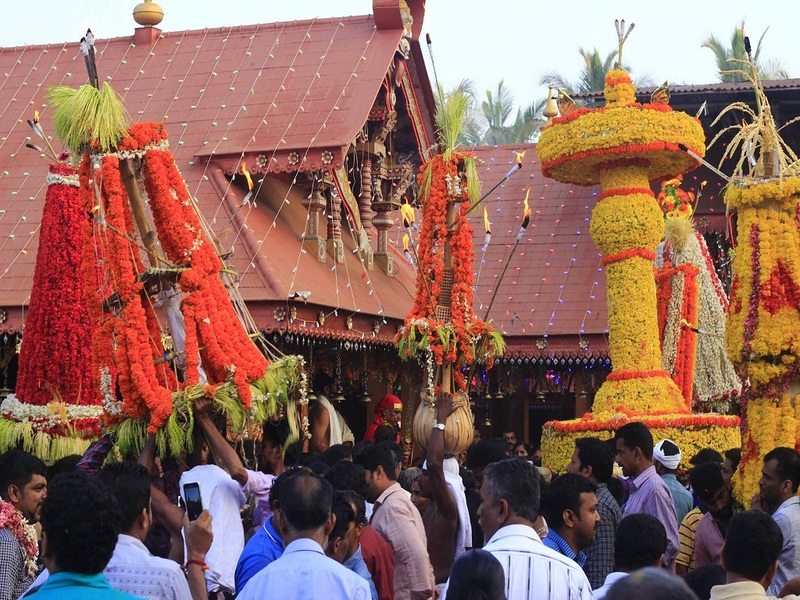 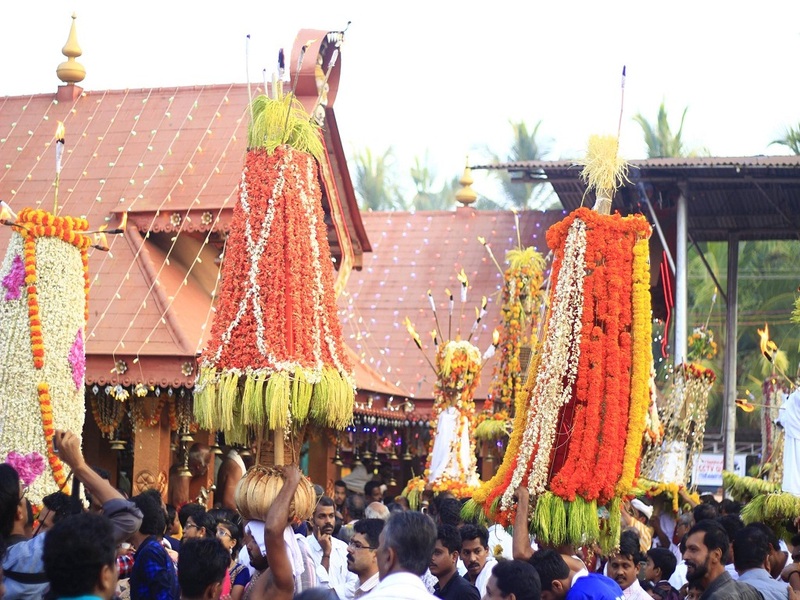 Thalappoli Mahotsavam is the most important festival of Sree Kurumba Bhagavathy Temple in Muzhappilangadu, Kannur. 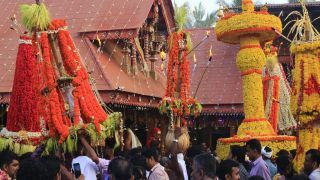 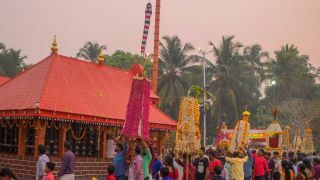 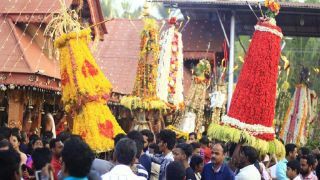 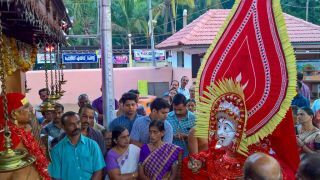 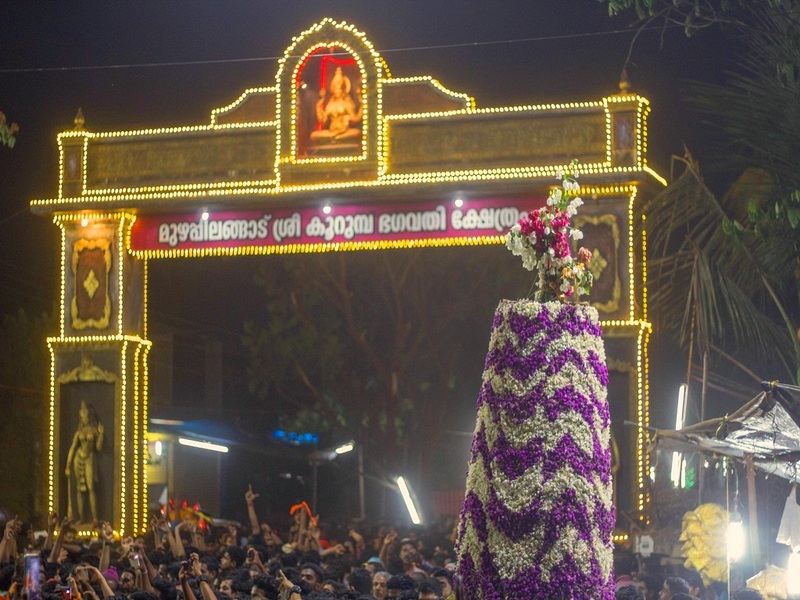 Celebrated on the Malayalam month of Kumbham 23, 24, 25 (usually on March), in the first day of the festival ornaments of the deity is taken to the temple by procession. 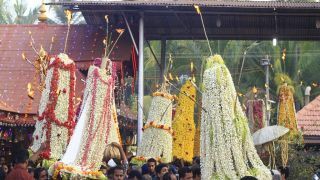 On the second day there is the ritual of Kalam Pattu. 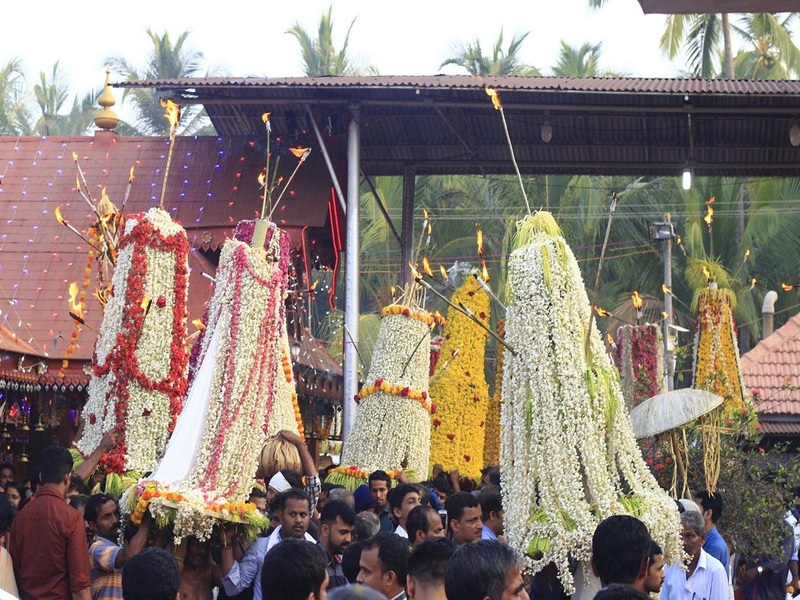 Last day is famous for 'Kalasham Varavu’ or ‘Kalasham Ezhunallathu’, sacred urns decorated by flowers. 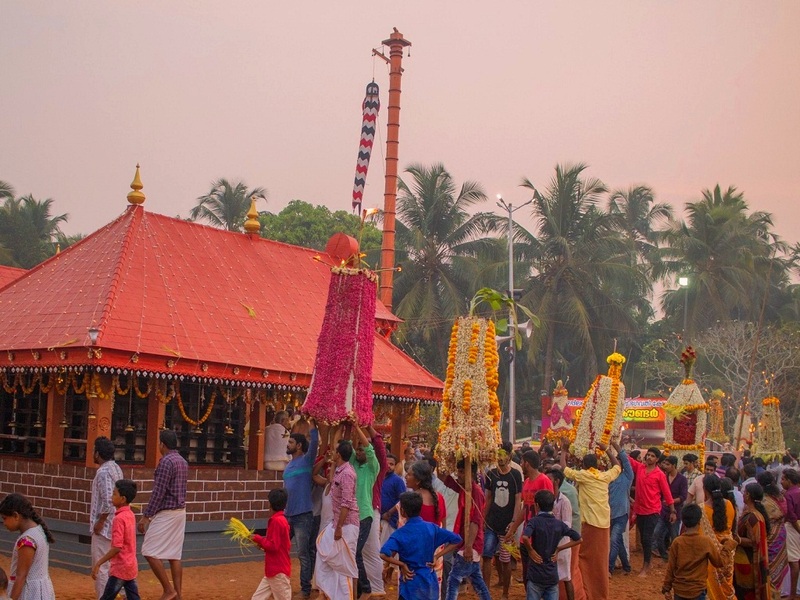 This temple has one of the most numbers of ‘kalasam varavu’ rituals held as part of the festival. 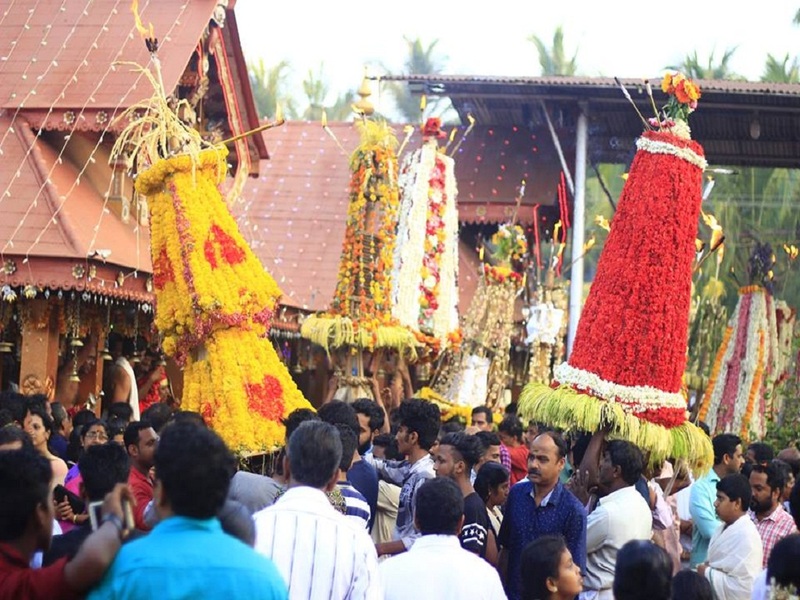 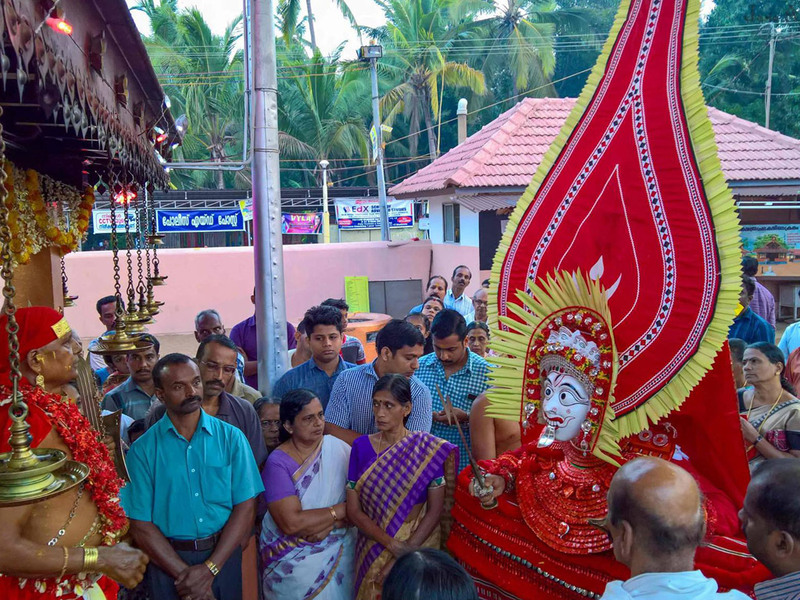 It will be accompanied by 'aayathan', traditional priest and the theyyam of Edalapurathu Chamundi, regionally known as elladathothi are other important events held during the festival days. 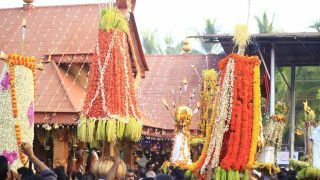 Bharani Thalappoli, is another festival celebrated here. 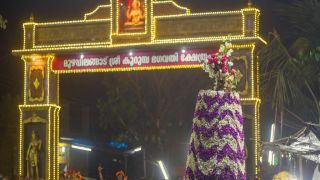 It is celebrated on Bharani asterism in the Malayalam month of Medam (April – May). 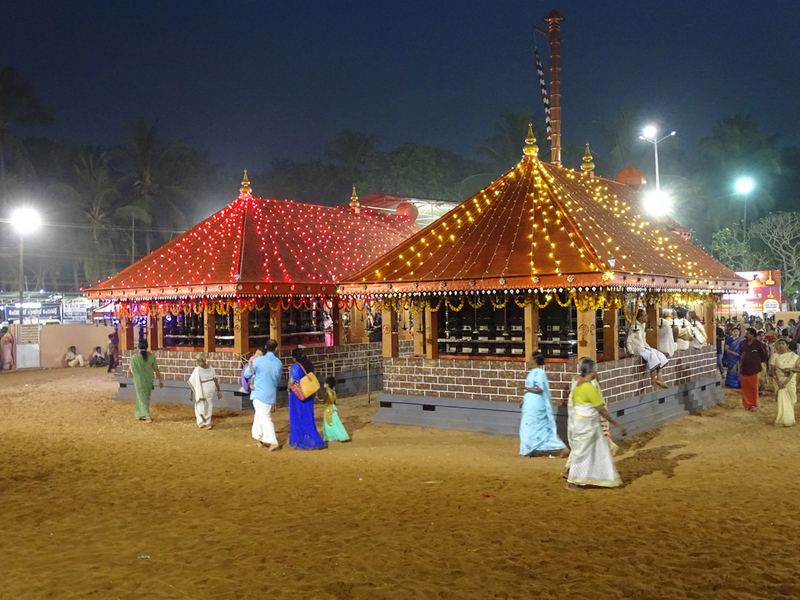 The temple is dedicated to Goddess Bhadarakali and is second amongst the famous Sree Kurumba Temples in Kerala.